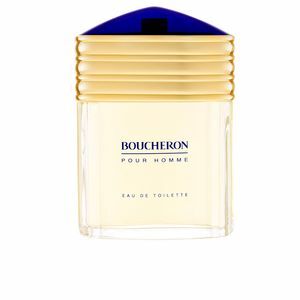 Boucheron pour Homme by Boucheron, from the fine jewellery firm Boucheron, is an'Eau de Toilette' for men belonging to the Citrus Aromatic family. It is the perfect combination of a multitude of exclusive and sophisticated ingredients, an alchemy of perfumery that goes hand in hand with the creations in the firm's jewellery sector. Unique, luxurious and elegant creations. 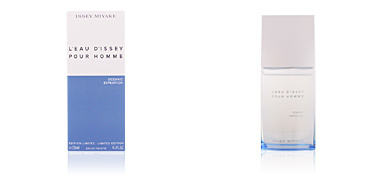 This fragrance was created in 1991 by the perfumers Francis Deleamont and Jean-Pierre Bethouart. For this creation, the prestigious master perfumers took inspiration from the firm's fine watches. Unique and extraordinary pieces that describe a man who is ostentatious, sophisticated and ambitious. A balanced and stable man, who loves his work and struggles for a daily improvement. Its olfactory pyramid is created by a fusion of citrus notes with floral chords, a tribute to the feminine perfume, which at the same time is combined with natural, highly masculine aromas. A stele full of contrasts totally studied to create this aura of olfactory perfection. POWERFUL MAN. 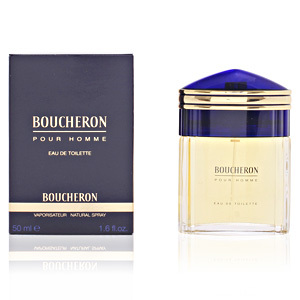 The Boucheron man has a great legacy behind him. We are in front of a man who is successful in all aspects of his life, with very definite ambitions, and who knows how to prioritize his preferences to perfection in order to continue reaping triumphs. FIRST MALE FRAGRANCE. This special creation is Boucheron's first male fragrance. 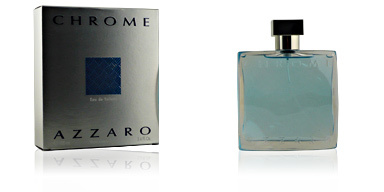 After its resounding success, the company gradually reaped countless successes in the men's perfumery sector. LEGENDARY WATCH. Its bottle, with straight and fine lines, honours the firm's classic men's watch, a luxurious piece, an object of desire for many and not accessible to everyone. 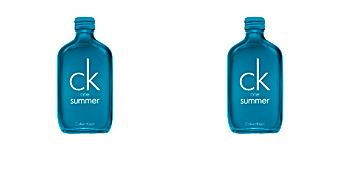 Top notes: Orange, lavender, mandarin , basil, lemon verbena, bergamot and lemon. Middle notes: Carnation, orris root, jasmine, ylang-ylang, Lily of the valley and rose. Base notes: Sandalwood, tonka bean, amber, musk, benzoin, oak moss, vetiver and incense. Boucheron pour Homme is a citrus fragrance. 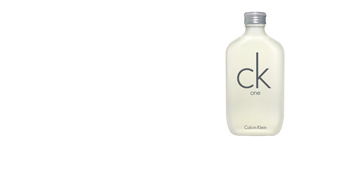 Because of its scent intensity, it is an ideal choice for day and night and is timeless. The quality of its elements and the contradictions created by them, result in an essence with a perfect projection. 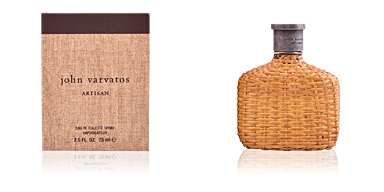 This fragrance is aimed at men over 40 years old with a stamp of natural elegance.